Home energy efficiency is getting a lot of attention lately, and for good reason. Thanks to tax credits and government investment, advances in technology, and lower costs, home energy efficiency projects are more affordable, for more people, than ever before. And the benefits aren’t only for single family homeowners, either. 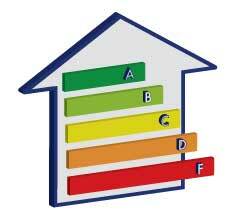 Do you know your home’s energy efficiency grade? Connecticut just announced $11 million for retrofit and upgrade projects on multi-family buildings. This money will help building owners hire local contractors to conduct energy assessments and perform air sealing, insulation, and HVAC work. When the work is complete, tenants will have more comfortable, healthier, and less expensive apartments. California approved an additional $10 million for low-cost, long-term financing of energy efficiency property improvements. Helping renters and homeowners save money on their home energy costs is always popular. These programs, and others like them, often have more demand than they are able to satisfy. Even without government programs, renters and owners can take 3 first steps toward home energy efficiency. It couldn’t be easier, and everyone can start today. joker domain Here’s a list of our most important do it yourself projects. Want more quick and easy home energy efficiency tips? Sign up for our homeowner and renter newsletter and start saving today! Ready to take the next step? Click here to get your home’s heating energy assessment grade. Heating and cooling costs are the major part of your home’s total energy bill. Knowing your home’s heating energy assessment grade will help you target areas of your home for professional work.